Note: “cool2sea™” was installed April 2013 on Scott's two Viking boats that charter out of the prestigious Hawks Cay Resort on Duck Key, Florida. With what enclosures has Captain Scott experienced? Scott has been a Captain for more than 30 years and the cool2sea™ enclosure replaced his existing EZ2CY® enclosures. He knows fishing, he knows boats and he knows enclosures! We took the boat this weekend fishing both Saturday and Sunday. Difficult to believe yet true, we got caught in that bad storm on Saturday evening. Even though we saw it on the radar and knew it was coming, we were just too suborn to pull in the lines!!! Anyway at some points during the storm it was 40 knot winds and probably 4ft swells. The enclosure was great for visibility even in the reduced light." When asked if the email could be displayed on the website, Rich stated: Absolutely, put it in. I got caught in a storm last summer, just heavy rain. The visibility is like nothing I've ever had, sincerely. It makes scary storms a lot less scary, for certain. It greatly improves one of the most serious issues, the ability to maintain a clear sight line. Even the guys I had on board fishing commented on it. Its slick stuff man. 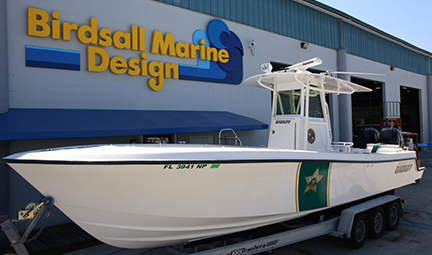 The Palm Beach County Sheriff’s Office had Birdsall Marine install cool2sea™ on one of its boats. Cutting glare and enhancing night vision make cool2sea an obvious choice. 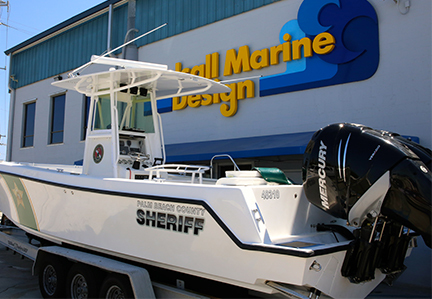 While the Sheriff’s Office cannot endorse a product, we can tell you that after experiencing cool2sea™ they ordered a second boat done in same. October 2013: A Note From Jerry Herson, Yacht "Purely Pleasure"
I felt I had to write and thank you for giving me a new level of comfort on this my 80th trip north and south between Annapolis, Maryland and Key Largo, Florida on my yacht. For 74 trips, the crew and I had to endure the elements on the last week of October and the second week of May each year. "Purely Pleasure" is a high speed motor yacht with no previous top or enclosure. At speeds to 55 MPH now and up to 65 MPH on previous boats, the wind, spray and rain can hit your face like cold bullets. We used to wear total float suits for warmth and dryness. Three years ago our mutual friend, Dan Jarzynski, told me that it is time I got a convertible top. I purchased one at the boat show - a regular Eisen glass top! At high speeds I could not see crab pots and debris. Danny told me that I got the wrong top and called you. I made two trips with your first generation EZ2CY Enclosure. It was a fantastic improvement. 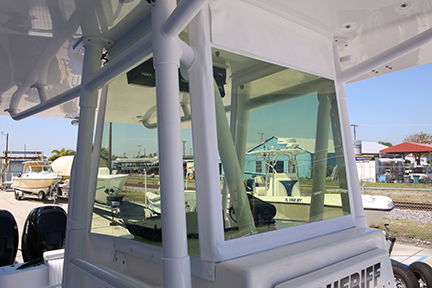 You came down to Ocean Reef, Florida March, 2013, and installed your latest CY4EZ Enclosure with tinted glass and air vent. 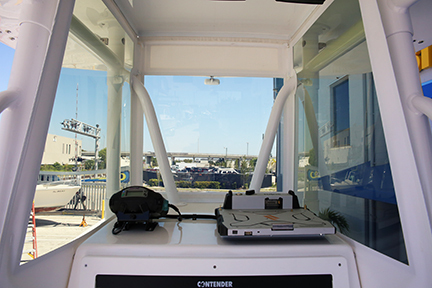 Not only could we see clear with no glare, the inside temperature was much more comfortable and we now can wear T-shirts to cruise. I cannot thank you enough!! A: 59 years - 25 yrears with boats 37' and larger. 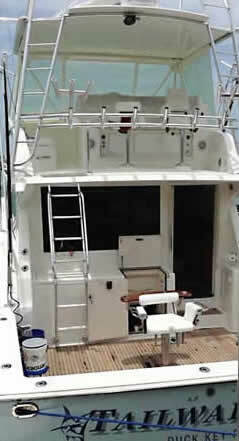 Q: During that time can you tell us the significant changes you have seen in enclosures on boats. Q: What enclosures have you had? Q: Were you skeptical about the Cool2sea? Q: Does the enclosure compliment your boat? Q: How do your customers like your new enclosure? A: They like it a lot. Q: How about seeing signs of fish through your Cool2sea? Q: How long do you think your Cool2sea enclosure will last? A: I hope as long as EZ2CY! Q: The most important question, "How does the Boss Lady like the enclosure?" A: She loves it. It's a lot cooler on those hot, sunny days. Ocean City, MD: "I've had Clearview since 1990 and replaced a panel with cool2sea™ this past spring. WOW! I'm getting all cool2sea™ panels now! It is easy on the eyes, it keeps me cooler and it is great at night!" My new cool2sea™ enclosure is amazing! 90 degree sunny day, four people on the bridge, the comfort level is more than I expected, about 68 degrees was now attainable with "cruise air," much cooler than on my previous boat. In addition, eyes are comfortable even without sun-glasses. A doctor on board commented on this aspect and added that many medications and conditions would be helped by this enclosure. Customer Brenda Young, Charleston, S.C.
"I was so amazed that I could take my sunglasses off and look through my new enclosure and my eyes were very comfortable and soothed. What a treat! This is a total new experience being out on the water with no sunglasses in my new cool2sea enclosure."